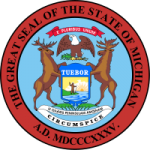 The State of Michigan’s Legislature has enacted the Support and Parenting Time Enforcement Act which sets forth the conditions and parameters for the issuance of a child support order. The statutes take into account the circumstances of the parents including income and costs. In addition the statutes provide for enforcement tools to be used in the event that a parent fails to pay as well as provisions for the modification of orders when situations change.